Yes, once again science and facts are getting in the way of Skynews and their global rush for ignorance and world dominance. 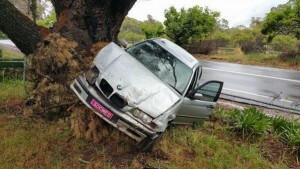 Whilst a few international media paid a bit of attention, because Chile, really, who cares according to Australian media, this story took a while to get noticed. Basically once photos like this came out and started to go viral well they had to jump on the social media bandwagon didn’t they. 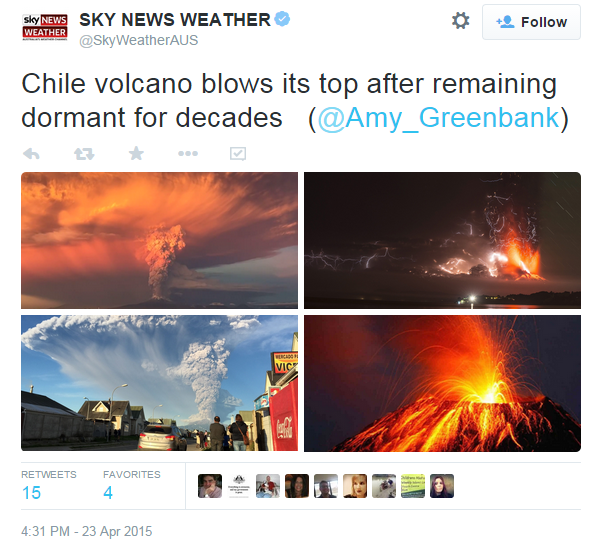 So here is Sky News Weather Australia getting in on the deal. 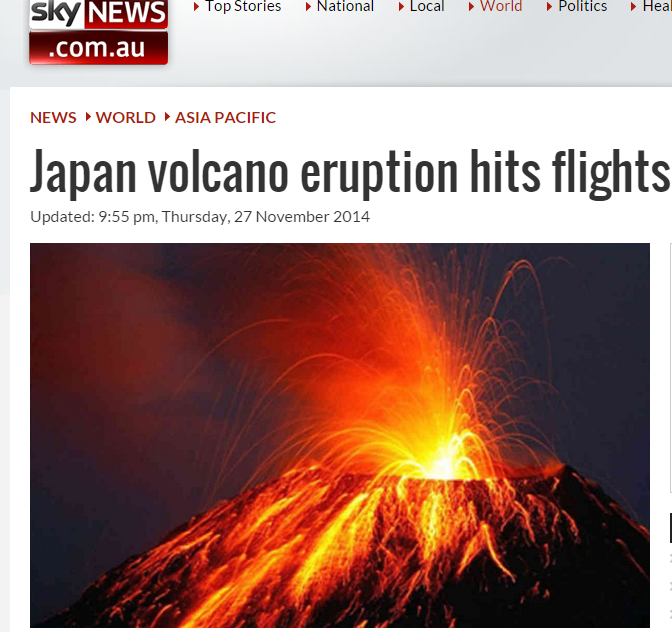 Of course I am not a volcanologist, ( IAMNAV ), but with a strong interest in the earth sciences, unlike many in Skynews upper management, one of those images didn’t seem right. Yes, that last image, funny how every other image (completely uncredited mind you, but not surprising really ) seems to show the same type of volcanic eruption, the last one is a lava flow from a small cone. 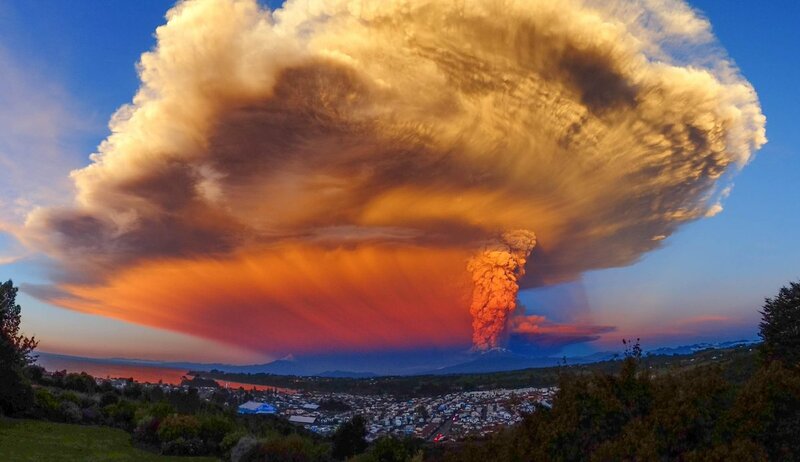 Funny, all the Chilean media reports said it was a ash plume and failed to mention the lava… oh that’s right, all volcanoes look the same don’t they. This is really not that dissimilar to the way Skynews treats environmentalists, Muslims, scientists and anyone else they tend not to agree with. This is the same as even an image in their stock library for volcanic eruptions even… oh and all these ones on Google Images as well. 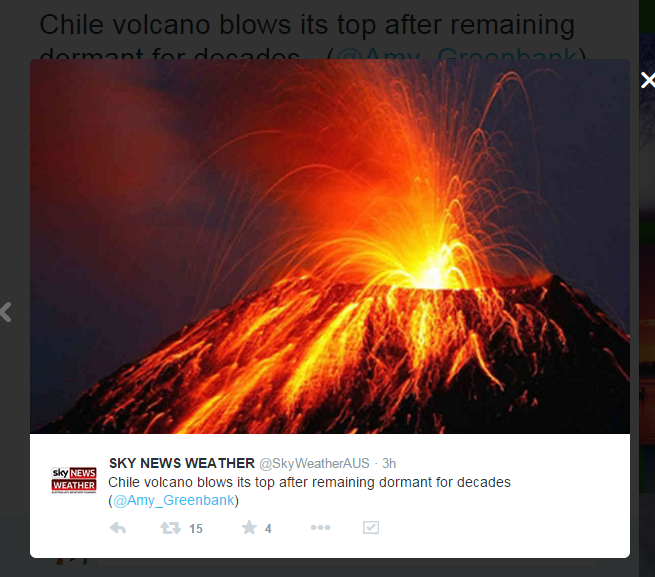 So yes SkyNews before you run off and claim credit for amazing photos, which you didn’t take, but stole from the Internet (but please no one “steal” Game of Thrones in Australia, lest Foxtel get upset ), at least check that the image is actually of the volcano that you are talking about. Because whilst your fact checking department has been cut back, if it ever existed, the rest of the world does know a thing or two. P.S And for god sake, please credit images to their source, it would be terrible if people stole your content wouldn’t it. If you are not aware, Woolworths decided it was a great idea to associated their brand with Anzac Day, but not just any old association, the association was to be around their “the fresh food people” branding. Seriously… “what the” were the brand folk thinking. Any decent social media strategist would have told them to GTFO. Perhaps they did and were of course over ruled by the brand people who know better. I have seen it before many times. But then I have also seen “Social Media Expert Guru’s” (SMEG’s) do the same, thinking they can control social media. More than predictably it went totally wrong. So wrong that it will be in PowerPoint presentations about Social Media for many many years to come. And whilst Woolworths deserve some points for pulling the website, replacing it with nothing was a dumb move. The apology text is floating around on social media, why not just cut and paste that into a simple <h2></h2> tag on the website. You screwed up, admitting it everywhere but where you screwed up, is another screw up. Months of work would have gone into this project, many many hours locked in meetings, with flow charts and pretty pictures. Yet, this site still went live. The ANZAC legend is polluted enough from companies and revisionist historians claiming it was the making of a great nation and of course looking to make a buck or two. Never forget that the landing was the making of a great nation from a monumental cockup of landing in the wrong location and the retreating after thousands of young lives were lost for nothing. Of course we can all head to Camp Gallipoli to sleep under the stars just like the diggers dig, or purchase something that costs $50 where an unknown percentage of only the profits go to the RSL. Or, like myself and many others, we could just attend the Dawn Service and pay our respects in silence. See brands, if you try and jump on a bandwagon you might just get thrown off, and that is something that will always be fresh in our memories. But never worry folks, still a few weeks to go for other brands to screw up before the 25th of April. The legend of ANZAC is a legend, it has good and bad points, but it is not and never should be a marketing opportunity for any company.